How will we diagnose and treat the ailments of future space travelers? And what medical issues will they likely encounter? I posed these questions to Sandip Panesar, MD, a postdoctoral scholar at Stanford who wrote a recent article about surgery in space in the British Journal of Surgery. From a young age, I’ve always been interested in space travel. I also have a background in surgery, trauma and emergency medicine. So it just clicked one day when I was reading about SpaceX. I realized they may actually send people to Mars, so we need to consider the medical implications of that. Specifically, how would you perform surgery? 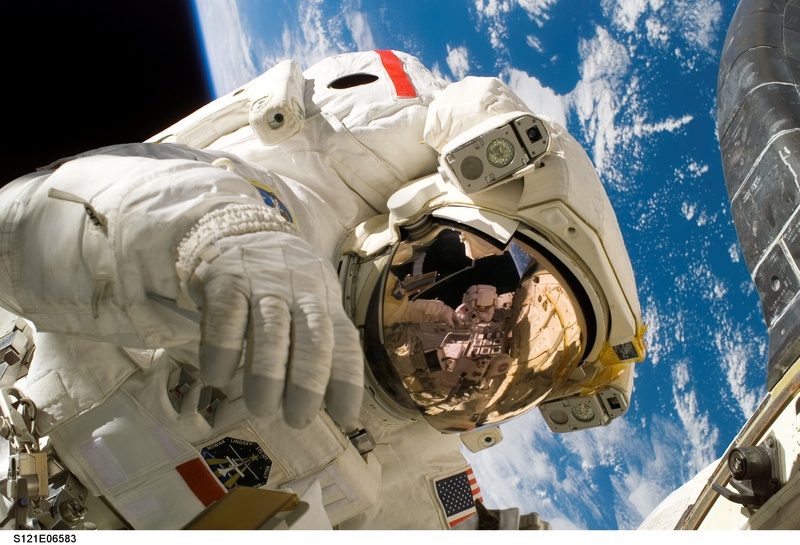 The need for surgical care in space in the near future will likely revolve around emergency situations — such as crushes, impacts, falls and burns — since the possibility of trauma occurring during exploratory missions can never be ruled out. In cases of severe trauma, significant internal bleeding may necessitate invasive surgical procedures. People are exposed to a few key physical conditions in space — solar particle radiation, temperature extremes and a lack of gravity. Solar particle radiation is a lot different than the particles people are exposed to on Earth. It has a higher chance of causing DNA damage, leading to an increased risk of high-grade cancers prone to metastasize. However, a lack of gravity causes a whole host of even more critical changes in the human body. One of the biggest changes is the redistribution of bodily fluids. On Earth, gravity and walking upright pulls most of our fluids down to our legs. In space, these fluids distribute evenly throughout the body. This affects heart rate and blood pressure, increases intracranial pressure and causes face swelling. And it decreases leg size, a phenomenon called chicken legs. In addition, the makeup of white blood cells changes in space. Plus, the body produces more stress hormones, called glucocorticoids, which further weaken the immune system. This may negatively affect wound healing, which is critical to surgery recovery. Microbes are also known to be more pathological in space, making the risk of a horrible infection after surgery even higher. One idea is to include a trauma pod, an enclosed medical suite, in the space station or vessel — a concept that originated in military medicine. We’ve also proposed using minimally-invasive keyhole surgery, but it has limited use in trauma situations and a pretty large learning curve. So open surgery is still likely but challenging in space. For instance, the bowel is free-floating within the abdominal cavity, so it can float out when you open the stomach if there’s no gravity. This carries a risk of infection, contamination and perforation. One potential solution is to use a hermetically sealed enclosure — placing a clear plastic box over the wound and working essentially in a glove box with a pressure differential. Mars is 48 million miles away and the radio signal delay is 20 minutes, so using robots controlled by surgeons on Earth isn’t feasible. Instead, researchers are developing robots that can perform surgery by themselves or with really minimal human assistance. There have already been trials of robots that can suture together pig bowels with minimal assistance. Finally, the size and weight of the payload is a huge barrier and surgical specialties all use different tools. A feasible solution is to bring a 3D printer that can print bandages, casts, surgical tools and even maybe pharmaceuticals. Also, you could diagnose conditions with an ultrasound scanner and a compact CT scanner like the ones used in ambulances in the U.K.
Not just yet. I still have a lot of things I want to do on Earth.